The First Presbyterian Church Mission Committee coordinates our mission to reflect God’s love in Jesus Christ to people around the world. This comes in the form of financial support for PC(USA) mission co-workers, as well as through direct, hands-on witness and service. We financially support mission co-workers and projects through FPC mission budget disbursements, as well as through special offerings and targeted gifts. The mission budget also supports our denomination’s and Presbytery’s Unified Mission. FPC members have traveled to Mombin Crochu, Haiti to provide medical attention, and training & other support. 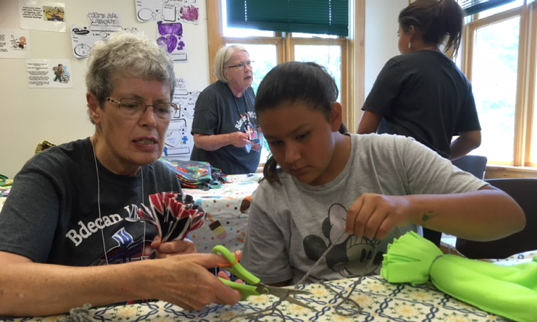 Volunteers in Mission from our congregation have also served in Venezuela, Hungary, Malawi, India, Texas, North Dakota, and Alaska (Sheldon Jackson College). FPC also has a long-standing relationship & involvement with the Medical Benevolence Foundation (MBF). For more information visit mbfoundation.org. The Bdecan (buh-DAY-chan) VBS Mission Team is coordinated through the FPC Mission Committee. 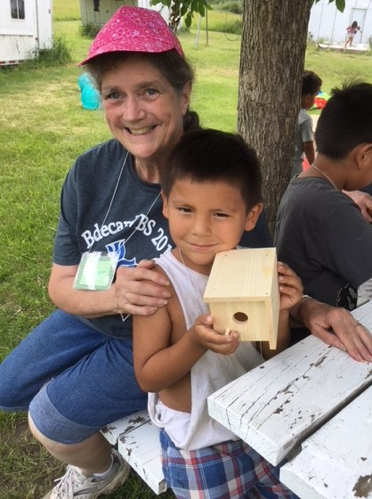 FPC mission teams have traveled to Spirit Lake Reservation (North Dakota) to provide Vacation Bible School (VBS) since 2015. 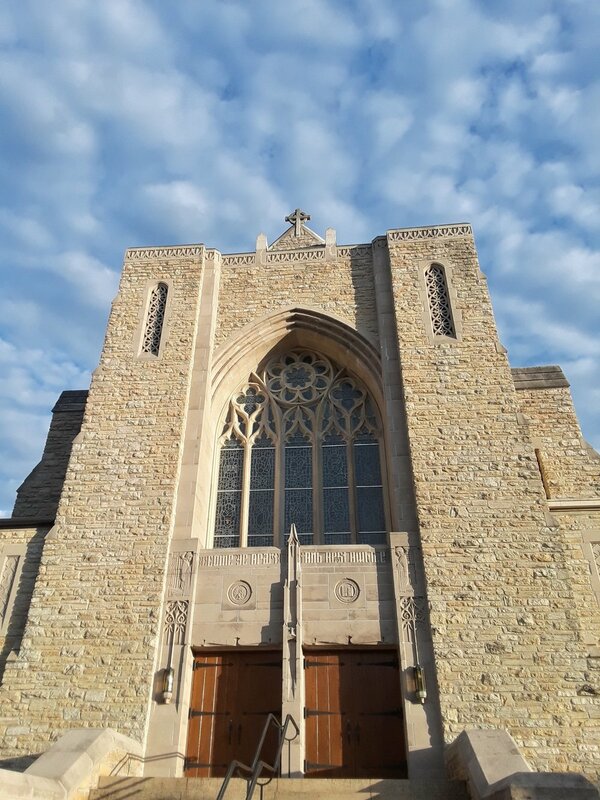 That was when Bdecan Presbyterian Church (BPC) youth pastor Joe Obermeyer entered a request on the Presbyterian Disaster Relief website inviting church groups to come provide VBS. In response we partnered that first year with another church and provided VBS at the community Activity Center four miles from BPC. After attending worship at BPC many of us felt the church would be a much better place for VBS. We also felt it would be better to partner with BPC members and pastor Obermeyer directly. When we returned in the summer of 2016, these changes were tried and all agreed it was a much better experience. Every year relationships deepen. The children of the church participate more enthusiastically every year. The kids, parents and grandparents remember us and are happy to see us return. VBS consists of songs, crafts, Bible stories, a woodworking or service project and games. Breakfast and a warm, nutritious lunch are provided each day. The children know that if they come, they will have something to eat (many live with food insecurity due to low income). FPC members have generously and consistently donated to special projects and requests by providing winter clothing, school supplies, fabric for tied baby blankets, and other necessities needed to help support the children and families there. 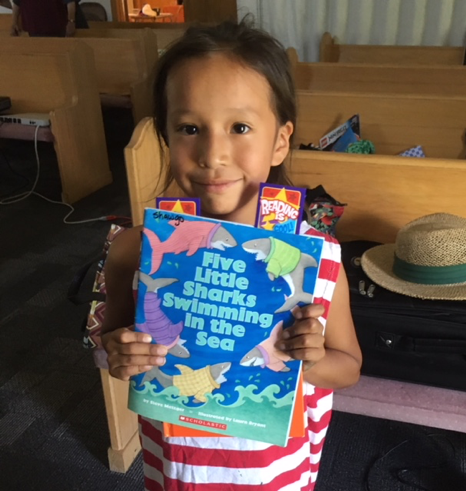 The Vacation Bible School (VBS) theme at the Bdecan Presbyterian Church (BPC) was “Jesus Looks into Our Hearts!” Our Mission Team was the only group providing summer VBS. Thirty-two kids attended during the three days. 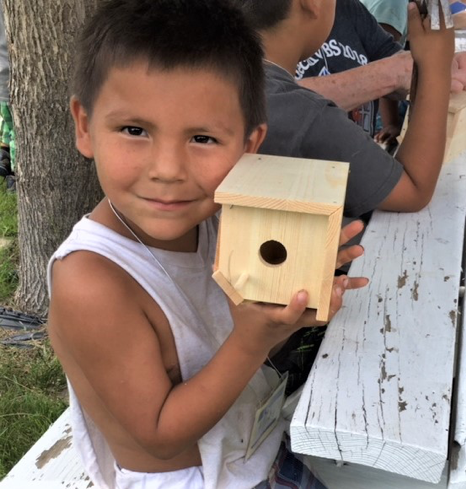 They made birdhouses and a bookshelf for the lending library (which our Mission Team started). The kids were enthusiastic and totally engrossed in the daily activities—even the older boys sang the songs and volunteered to answer questions (something they had not done previously). 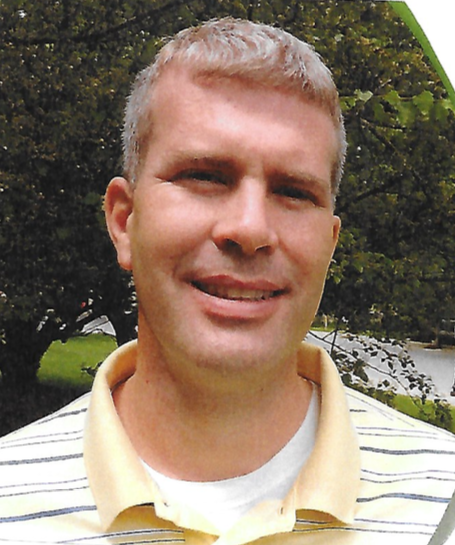 We celebrated Pastor Joe Obermeyer’s fifth year at BPC. A check for $1,000 was presented to BPC toward the goal of raising $10,000 to expand and improve the clothing pantry. FPC also generously contributed $2,645 for winter clothing for the children who have to wait for their school bus in frigid temperatures. We also delivered school supplies, underwear, and tied fleece baby blankets (which the VBS kids helped make). The 2018 Bdecan Summer VBS Mission Team: Jane Hallman, Cindy Kunzman, Jean Abels, Ruth Saling, Heide Buettner, Ginger Kirby, Jane Murl, Phyllis Schmid, Marylynn Aalderks, Vickie Wintheiser and her grandson Solomon Fisher, and Mike Maxson from FPC, Ely MN. We were also joined by Pastor Obermeyer’s mother Trudy. Following decades of civil war, striving toward independence, South Sudan continues to endure tragic cycles of ethnic, political, and resource-based conflict. The violence does not reflect the hearts of multitudes who long for a peaceful future for their children. While the South Sudanese work diligently to address these issues, the Presbyterian Church (PCUSA) and the Reformed Church in America (RCA) have joined efforts by sending Revs. Nancy & Shelvis Smith-Mather. Shelvis is the Principal of the RECONCILE Peace Institute (RPI) which equips leaders to initiate sustainable peace in places of chronic, intense conflict and trauma. Alongside his RECONCILE International colleagues, Shelvis trains trauma counselors in the refugee camps. His colleagues often share their own stories of trauma and triumph with him. Nancy is the Project Manager for the South Sudan Education and Peace Building project, developing and advancing peace education in collaboration with the Presbyterian Church of South Sudan, ACROSS, Yei Teacher Training College, and RECONCILE International. Since 1989, Les & Cindy Morgan have served as PCUSA mission co-workers in Bangladesh, one of the world’s most economically impoverished and most densely populated countries. The Morgans live in the northwestern city of Rajshahi where they advise on patient care at Christian Mission Hospital, mentor students at the hospital’s affiliated Nursing Institute, and visit rural villages to demonstrate the healing ministry of the church. The Morgans also assist the Church of Bangladesh Social Development Program, planning and implementing community health programs that address root causes of disease. In addition, they provide guest lectures and retreats at St. Andrew’s Theological College in Dhaka. Les and Cindy have lived their call to proclaim the gospel among the sick and to nurture them as a ministry of the body of Christ. David and Josey are working in partnership with the Presbyterian Reformed Church in Cuba. David is teaching New Testament and Greek at the Evangelical Theological Seminary in Matanzas, while Josey is assisting the Cuban church in Christian education efforts. "Our earliest memories of our sense of call to ministry have been in the area of education," David says. As natives of Puerto Rico, David and Josey share some ethnic and cultural affinities with the people of Cuba. They developed an appreciation for the country through Cuban friends and mentors in the years prior to their mission appointment. David and Josey sense a call to be a part of a new sense of hope that's emerging in the Cuban church and society.